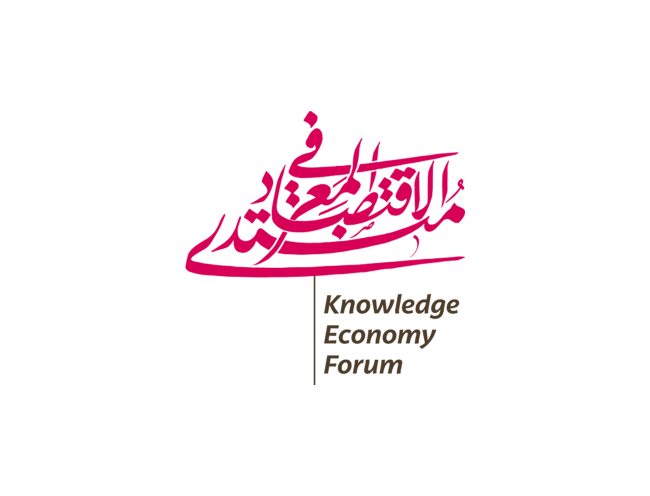 Knowledge Economy Forum is a think tank platform, committed to leveraging the awareness of the government at MENA region about their contemporary roles in the 21st century from knowledge economy perspective by bringing the pioneering experts in various related disciplines for up to two days to shape regional agendas and discuss the must pressing issues. 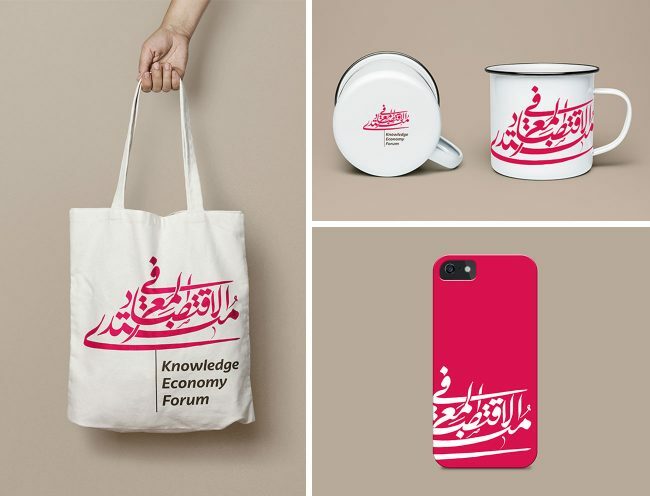 For the 2018 forum held in Kuwait, Tarek Atrissi Design was approached by the organizers to develop the branding and visual identity design for the event. 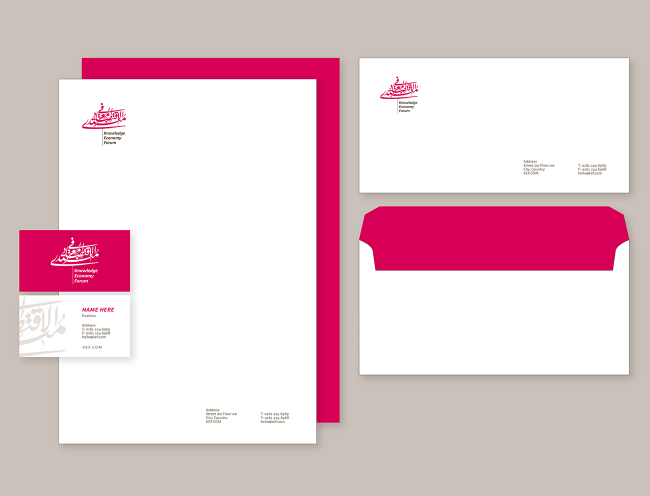 This consisted of designing the logo for the Forum, as well as the basic guidelines of the visual identity to be used for internal and external visual communication of the event. The design was based on a custom Arabic calligraphy of the full name of the event, created in a classic yet artistic style, and blending with a remaining contemporary styling of the visual identity, in colors and typography. 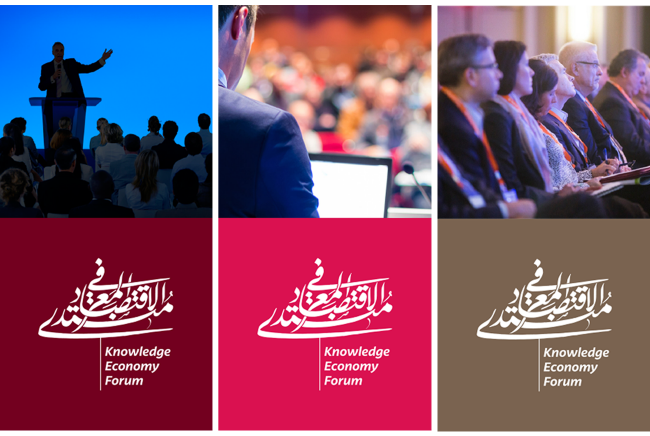 The end result of the design was a bright and recognizable branding solution that helped position the Knowledge Economy Forum as a professional and rooted entity. 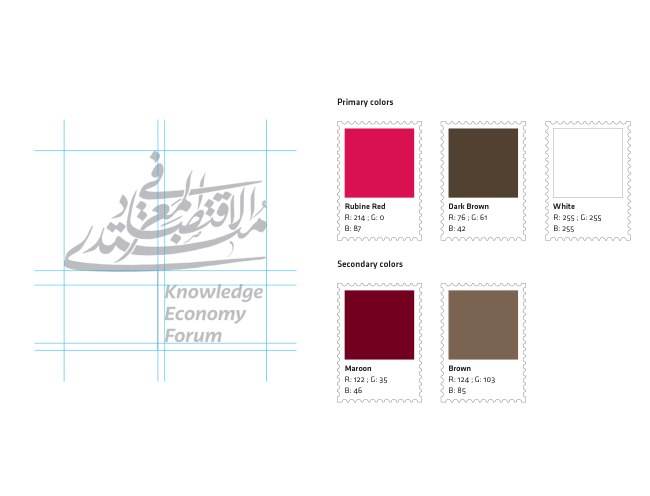 Shown on this page are samples from the elaborate brand identity guidelines created as part of our deliverables for the project.